Sometimes the great composers of our time just want to have fun and make a cover of a classic theme song. In the clip below, listen to Trent Reznor and Atticus Ross's reinterpretation of John Carpenter's Halloween (1978) Theme song. And compare it to the original track originally penned by Carpenter himself while he was first editing his horror classic, in the clip even further below. 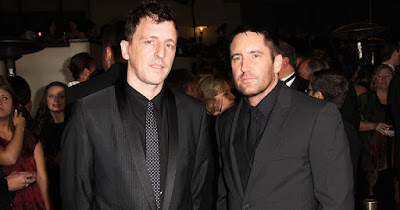 Trent Reznor and Atticus Ross first collaborated together on the soundtrack of David Fincher's The Social Network (2010) and again on Fincher's American remake of The Girl with the Dragon Tattoo (2011) and have been working together off and on ever since. They are known for their experimental vibe, the two composers loving to explore the potential for movie soundtracks. And Trent Reznor with his band Nine Inch Nails created a track for David Lynch's Twin Peaks: The Return (2017), which was featured prominently in the most talked about and most experimental episode of the whole series, Part 8. 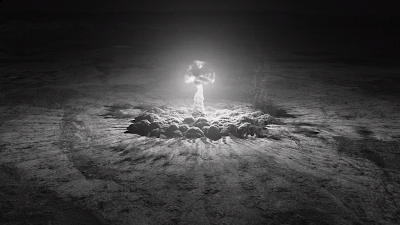 Without revealing too much, the episode featured a zombie invasion of charred lumberjacks and extreme close-ups of nuclear blasts. It was an unforgettable episode. "We wrote a different song initially, and [Lynch] said, ‘How about something less Twin Peaks-y sounding, and more aggressive and ugly,’” Reznor said. Collaborator Atticus Ross added, “I think he said, ‘Make my hair stand on end.’" The duo went on to say that their song "She's Gone Away" from their album Not the Actual Events was written for their Twin Peaks appearance. "We left the theater forever changed. We were damaged and scarred... and that theme stuck firmly in our heads," remarked Trent Reznor about his childhood exposure to John Carpenter's seminal horror classic Halloween (1978). 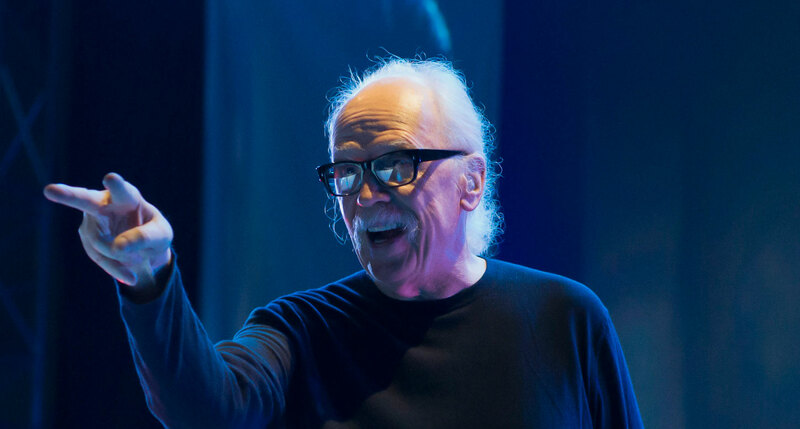 John Carpenter's independent production and incredible success with Halloween helped inspire a whole new generation of filmmakers to skip the studios and make their own passion projects. John Carpenter's self-made synth score definitely resonated in these two modern composers and remains to this day one of the most deceptively simple yet effective horror scores to this day. It is wonderful to have the new pioneers of music to salute their inspirations and honor those who paved the way before them.